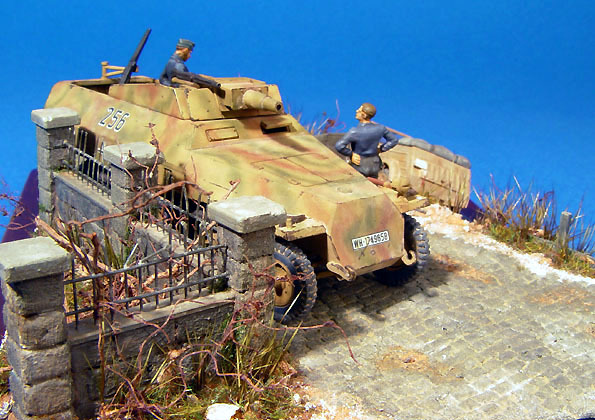 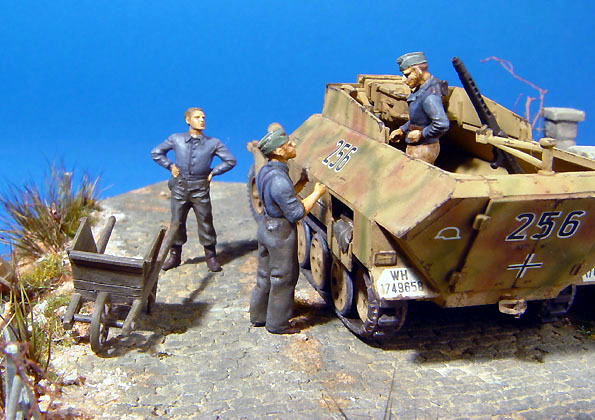 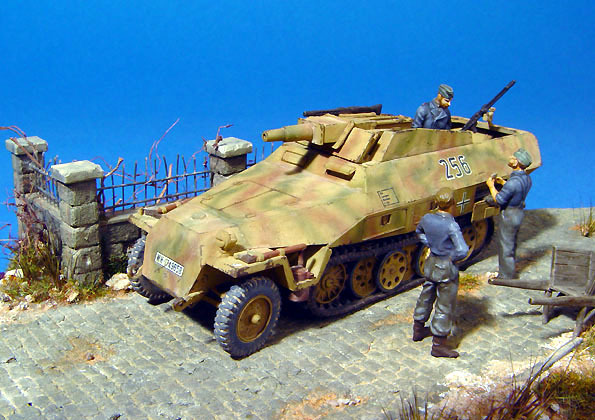 Sd.Kfz. 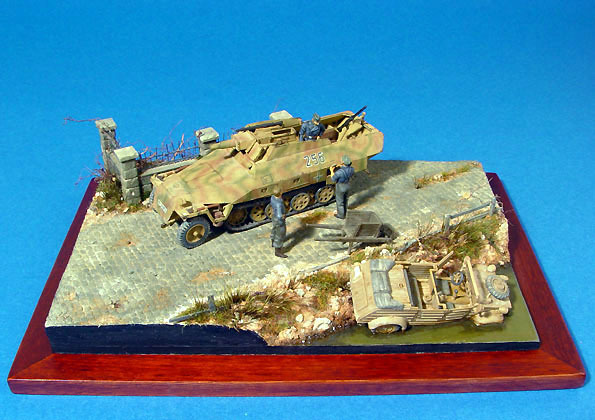 251/9 Stummel from Hasegawa and Kubelwagon was from Academy's Ground vehicle set. 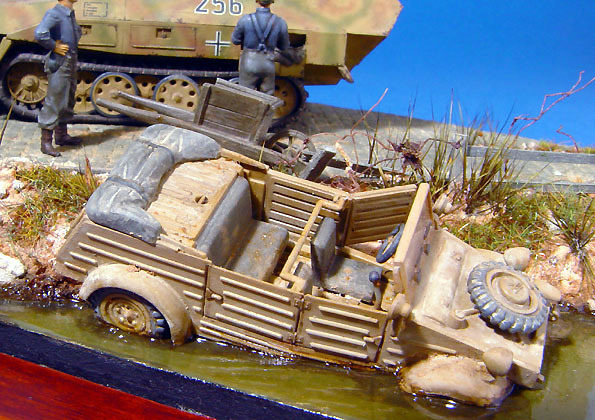 The figures were from Preiser's set.